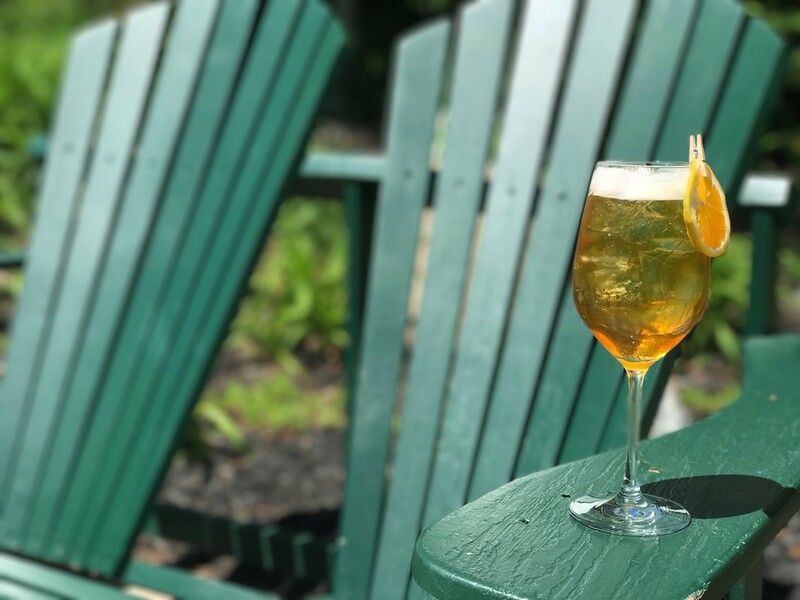 Beer plays nice with rum, vodka, gin, tequila and other compatible liquors — for playful and refreshing spring and summer sips. Sometimes it makes a cameo appearance, in a cocktail topped off with a lager or ale, while other times, drinks are created with beer in a leading role. Either way you pour it, beer cocktails are a reinvigorating change and a must-try for beer lovers. Some days the toughest decision to make is sangria or beer. Sip a glass of Sangria de Cervezal and you won’t have to compromise one for the other. The beer-based sangria is made with La Rubia beer, St.-Germain, lemon juice, and pear puree. Make a reservation at Bulla Gastrobar. The Down by the River is a sip of sultry Georgia, a drink that will “transport you to hanging out beneath a blooming magnolia tree, by a river, eating roasted pecans and drinking beer.” The Southern tipple is created with Larceny Bourbon, honey pecan orgeat, and Estrella Damm. Peachy. Make a reservation at The Iberian Pig. The scene: Palm trees, tiki torches, Polynesian wood carvings — and the Brewers Grog, a beer-based Mai Tai cocktail with a tiny umbrella. 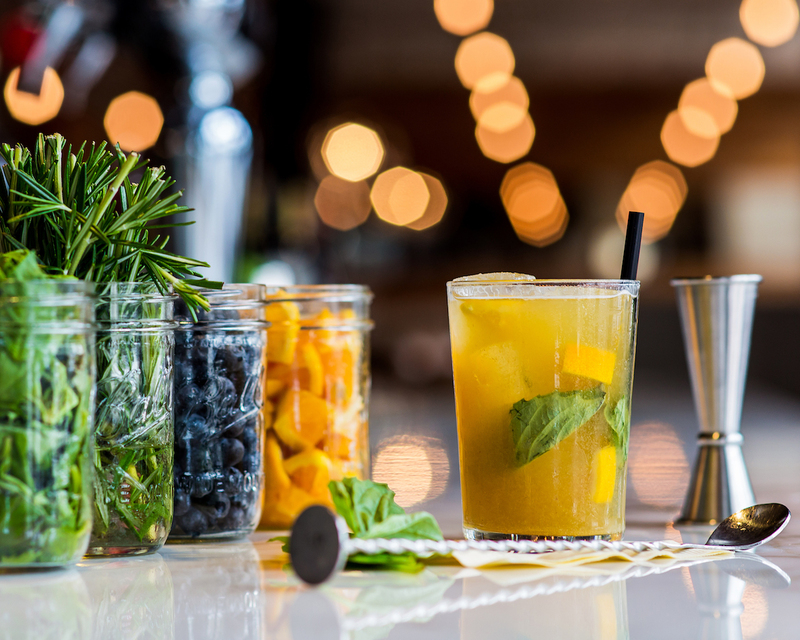 Beverage director Daniel Veliz’s tropical drink is made with passion fruit, Trader Vic’s Dark Rum, orange juice, and lemon and is topped off with Blue Moon beer. Order it at the Atlanta location, too. Make a reservation at Trader Vic’s. 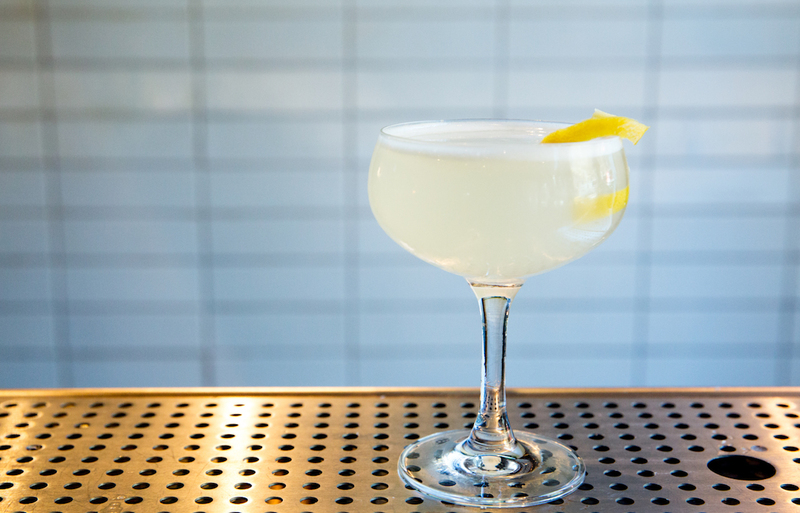 Lead mixologist Zachary Blair’s Cervezarita is a perfect tasting of a ‘rita and a beer. 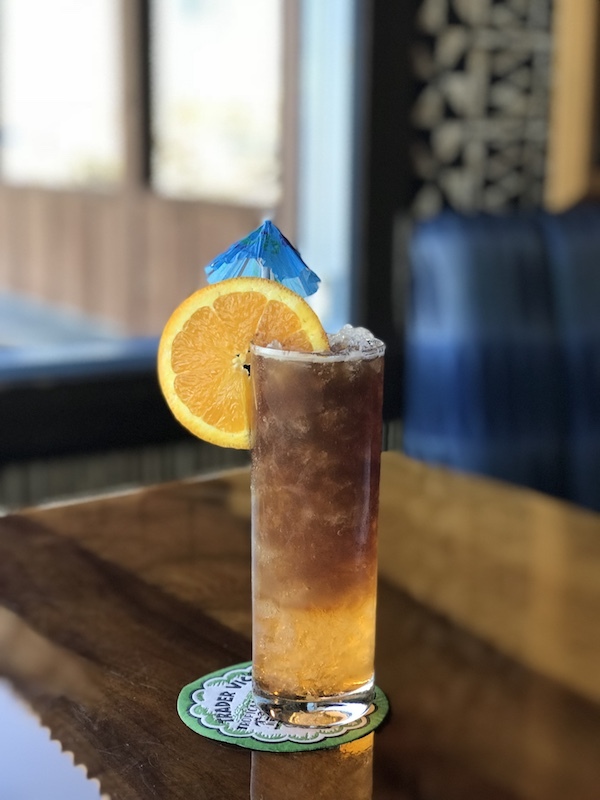 The fruity drink is made with Union Jack IPA from Firestone Walker Brewing Company, Siembra Azul Blanco Tequila, pineapple juice, lime juice, simple syrup, and an orange twist garnish. Make a reservation at Kanu. 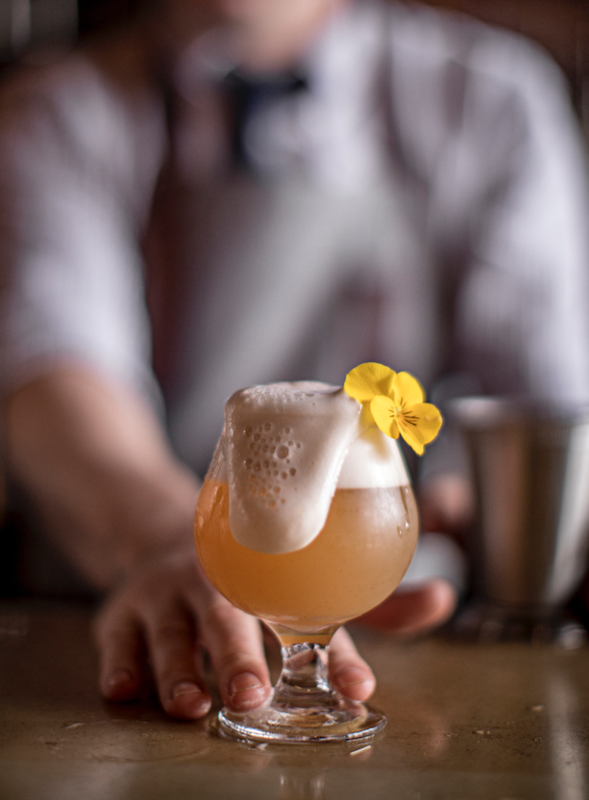 Gin lovers who also can’t resist a strong ale will be tempted by head bartender John Walter’s boozy Belgian Buzz, a cocktail that is poured with Beefeater Gin, honey coriander syrup, lemon juice, Duvel Belgian Ale, and an orange peel garnish. Make a reservation at Outlier. The glass is always half full at this positive-thinking restaurant. 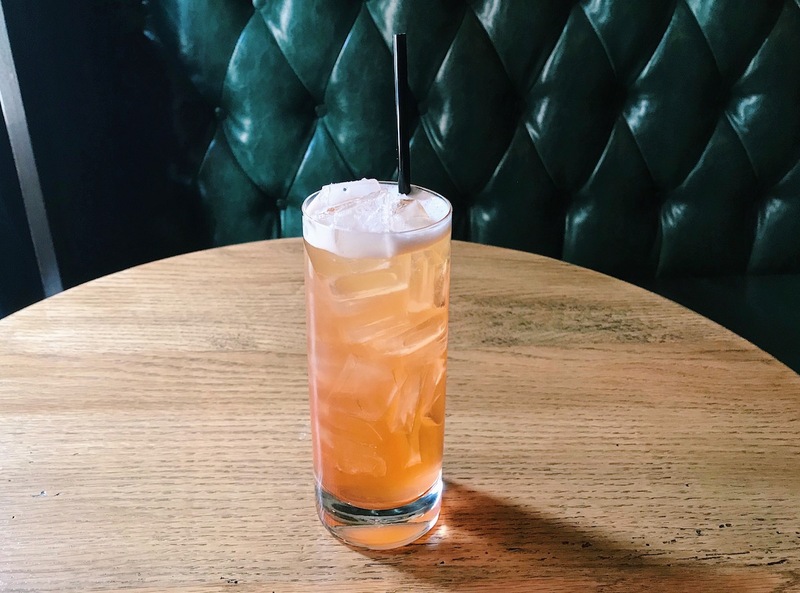 The Amber Wave is created by beverage director Eduardo Porto Carreiro — it features local Gate City Copperhead Amber Ale as its base and stars Gosling’s Black Seal Rum and Meletti Amaro. High-fived with a grapefruit-peel garnish. Make a reservation at The Optimist. Bar manager Dominic Carullo’s colorful beer and booze libation is playfully named A Very Stable Genius. Yes, it’s orange-hued, and it’s stirred with Bols Genever, Aperol, vanilla orange cordial, and Allagash White. Make a reservation at Royal Boucherie. Where have you been drinking beer cocktails? Tell us here or over on Facebook, G+, Instagram, Pinterest, or Twitter. And, remember to snap + share your #dishpics with us on Instagram for a chance to win in our weekly giveaway. 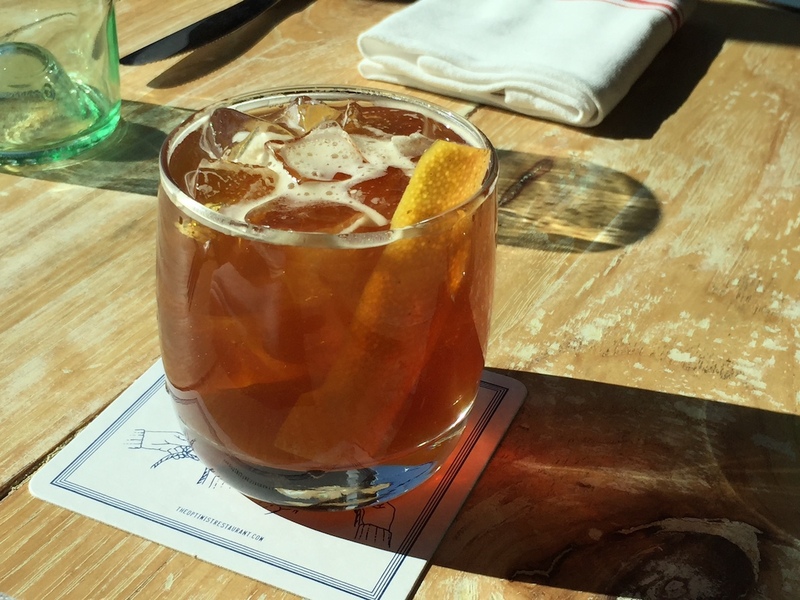 Photo credits: Adela Lee (The Outlier); all other photos courtesy of the featured restaurants.